You don’t have to be a rocket scientist understand the basics of wine storage: temperature, humidity and light conditions for wine cellars. 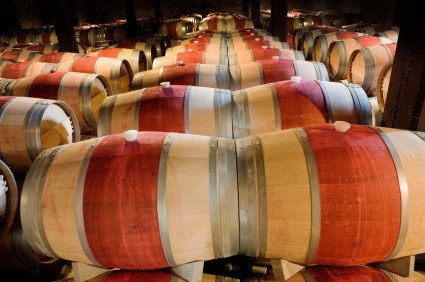 The proper storage temperature of 10 to 15oC enables wine to age slowly to its full complexity. Excess heat cooks off its finer characteristics, while too much chill retards its maturation. Humidity should also be stable, at about 70 percent, so that corks don’t dry out. When dry, corks shrink slightly, allowing air into the bottles that oxidizes the wine. This is also why bottles are stored on their sides: the wine keeps the cork wet, and the oxygen out. Darkness is preferable, even though most wine is bottled in coloured glass to protect it against most light damage. Even if you have basic wine racks in a closet this helps. The Age-old Question: Why Cellar Wine at All? Why bother aging wines when 99 percent are made to be consumed the year they’re released — and most are consumed within 17 minutes of getting them home from the liquor store? Well, that one percent makes it all worthwhile – especially for those who prefer to drink, not just stroke, their wines. Mature wines offer exotic flavors and aromas that just aren’t found in young wines. Or in wines priced under $15, and anything that comes in a box or bag – which, according to wine snobs, should be thrown out anyway. As fine wine ages, the fresh grapey aromas diminish and are replaced by aromas of ripe fruit, cedar, chocolate, leather and others. Meanwhile, tannins — the compounds (also found in tea) that make your mouth feel furry — agglomerate, or chain together, making the wine smoother and easier to drink. For expensive fine wines, such as classified bordeaux and burgundy; California cult cabernet; vintage champagne; TBA German wine; and super-Tuscans; aging makes economic sense too. After several years, many of these wine double or triple in price, making them the kind of liquid assets you treasure, regardless of the economy. As well, there’s the element of nostalgia: Some parents like to cellar wine made in the year their children were born, so that they can give it to them when the kids turn twenty-one.